Priyanka Chopra is officially a Jonas! The 36-year-old actress changed her name on Instagram to read Priyanka Chopra Jonas on her profile. Her username is still @priyankachopra, however. Check out a screen grab of what appears on her profile page below. If you missed it, Priyanka and Nick Jonas were recently the subject of a mean-spirited article questioning their marriage. Joe Jonas came to their defense, as well as his fiancee, Sophie Turner. 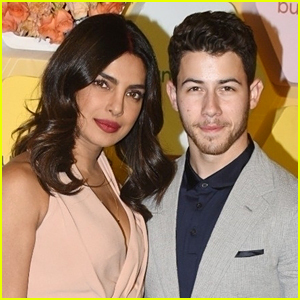 Priyanka and Nick were wed over the weekend. Celeb Sightings: Katrina Bowden Helps Rescue Rockaway Beach in N.Y. Listen To This: A Muse-ing! Nicki Minaj Will Be Opening The VMAs! This Is The Best News!